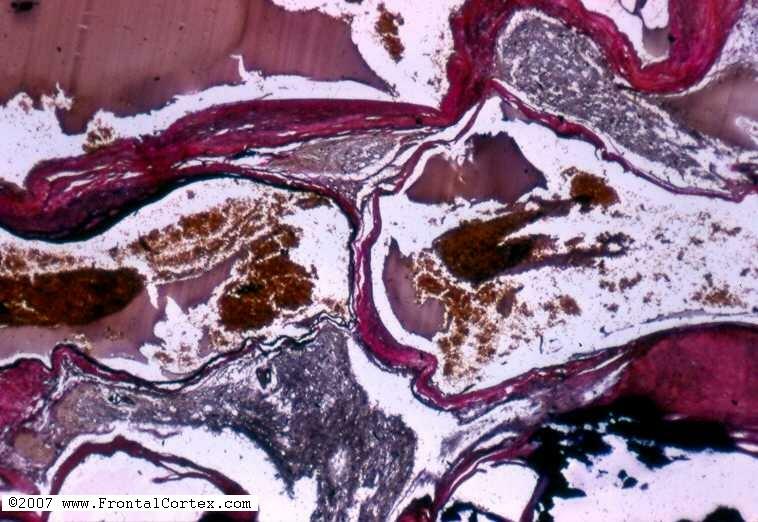 Which of the following statements about the type of lesion seen in this photomicrograph is most accurate? 1. Prayson, R.A., and Goldblum, J.R. (Eds.) (2005). Neuropathology. Elsevier, Philadelphia.